You might recognize Chris Mandeville from the inspiring and engaging monthly articles she shares on this website. But readers will likely remember Chris because of the amazing “seeds” that she planted when distributing a unique hand-out to tie-in with her novel of the same name. Seeds Synopsis: Forty-eight years after a catastrophic solar event destroys all life and technology on the planet’s surface, nineteen-year-old Reid Landers lives in the old NORAD facility deep inside Cheyenne Mountain with other descendants of Originals, barely subsisting on canned food and rats. For all they know they are the last hundred souls on Earth…until Reid meets the first stranger he has ever seen, a stranger with a grown apple. This catapults him on a journey to California to find seeds for his people, an adventure fraught with skin-carving pirates, twisted missionaries, and mercenaries on Rollerblades. Even if Reid can outwit the despot leader of “Lost” Angeles and resist the siren’s song of a beautiful con artist, there may not be any seeds left to find. And his people—including the woman he secretly loves—might not take him back. 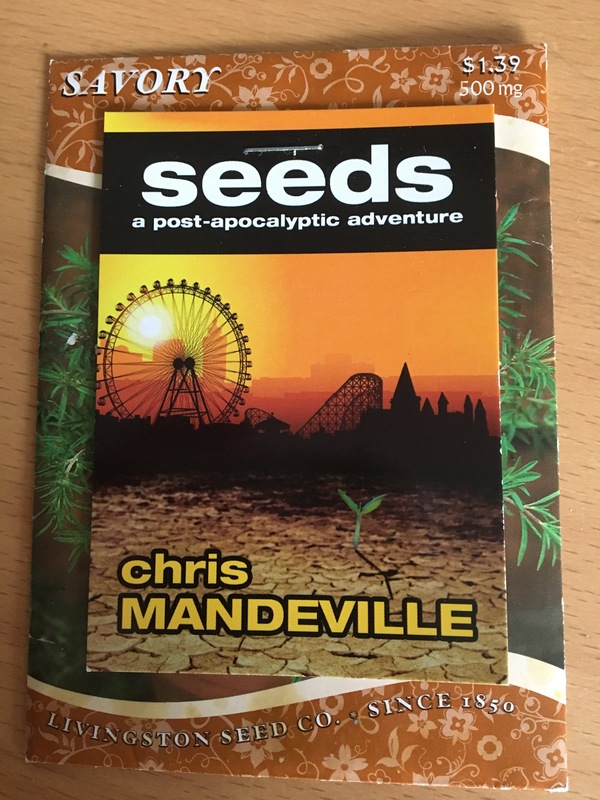 For a space-efficient, portable and unique (not to mention useful) hand-out, Chris stapled business-card sized mini book covers (with an abridged synopsis on the back) onto packages of seeds. A brilliant way to stand out and ensure that those little hand-outs she is distributing aren’t just getting tossed into the bottom of a trade-show or reading event bag and then dumped out in the trash or recycle bin, but, instead are being noticed, and even used (especially in the spring when many minds return to gardening). Check out great writer tip articles by Chris by clicking here.